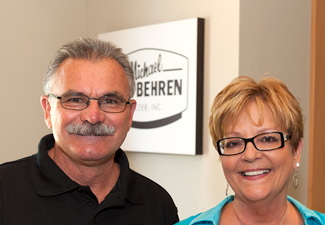 Employment | Michael von Behren Builder, Inc. Looking for a job where you fit in and can show off you skills and talents? We're professionals who will appreciate your talents and reward you for them. From time to time, we hire skilled workers to join the MVB Builder team. If you're interested in working here, we're happy to review your resume and get in touch if and when we have a need that matches your expertise. Employer/employee combined contribution for a 401K pension/profit sharing program. Compensation is based on experience and skills.